Claremont Energy Challenge – Let's make Claremont the national leader in energy efficiency! Let's make Claremont the national leader in energy efficiencyClaremont is a semi-finalist in a national energy-saving competition to win a $5 million prize! SIGN UP TODAY for your FREE Energy Assessment and Follow-Up Consultation, and learn more about the benefits of our new state-wide initiative to retrofit homes. 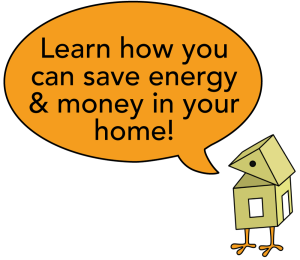 Looking for ways to save energy in your home? We have some simple steps to help get you started! Read on to learn more about easy energy steps, home retrofits & solar power. The best way to keep in touch is to sign up for our email list, where you'll receive information about upcoming events, how we're doing in the competition, energy-saving tips, and more. See what events and workshops are coming up here! Host an educational gathering for friends and family, walk door-to-door in your neighborhood, or volunteer for other low-commitment tasks! Click the button below to take the ENERGY EFFICIENCY pledge!